Mary’s Pence walks side by side with “las Marias” of the world – the women who persist and change oppressive systems at home and abroad. We support immigrant women and their families because the Mary’s Pence circle only grows stronger with their presence, activism and grit. In fall 2016, we welcomed two new grantees that provide holistic support for immigrant communities. 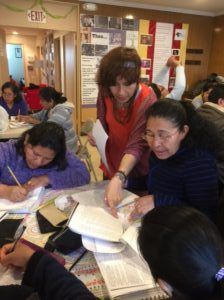 Centro de Recursos Educativos para Adultos (CREA), founded in 2013 by Latina women of East Harlem, NYC, is a space of learning and connection for Latinx immigrants, offering general education and life skills classes in English and Spanish. Since 1999, Welcoming the Stranger has provided programs in ESL, computer skills, and citizenship test prep to immigrant communities in Philadelphia, PA. 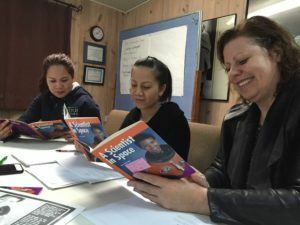 Beyond the classroom, the two organizations capitalize on a crucial part of all learning – that we are a humankind of immigrants, strangers to others until we enter their lives and are welcomed in response. The voice of Maria Guadalupe Martinez, one of the founders of CREA, beams with pride whenever she talks about student participants of the Center: “I love it when they are learning, changing their minds. When they say ‘I want to study, I want to learn more’. You see their faces light up as they get more active, more involved.” Maria knows how important it is for recent immigrants to find peer support. CREA has over a hundred participants, hailing from Mexico, Dominican Republic, Ecuador, Puerto Rico, and Guatemala. “We have grown over the years” – says Executive Director of Welcoming the Stranger, Meg Eubank. 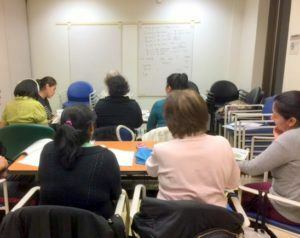 “Prior to 1999, Philadelphia suburbs had no ESL classes, and we started out with 8 students. 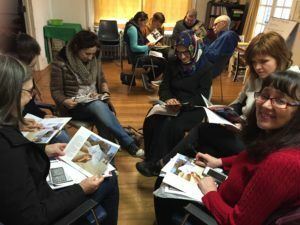 Now we have grown to 305.” Welcoming the Stranger has also expanded its programs from the original ESL and computer skills classes to include sessions on peace building and cultural exchange. And there’s an ‘unofficial’ part of the classes – conversations about body language, social norms, and U.S. communication styles, says Meg. Welcoming the Stranger community is also learning to defend itself in the face of the rising hate crimes in the region and throughout the country. 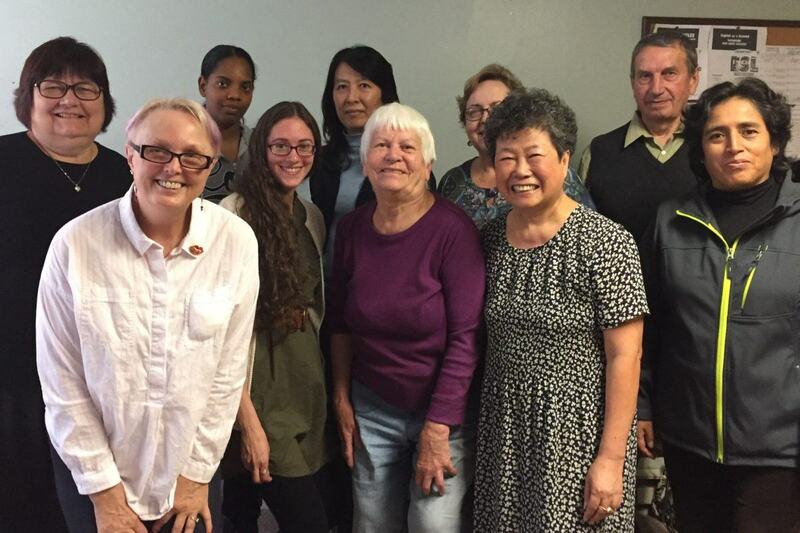 “It is important to become involved in your government locally, on the state level, talking to politicians about issues that concern you and your neighborhoods,” says Meg about possible ways to take action and advocate for immigrants and refugees. “Hate is not acceptable in our community,” asserts Meg. We at Mary’s Pence stand in solidarity with her sentiment, always committed to accompanying “las Marias” of the world. Maria Guadalupe Martinez, one of the founders of CREA, passes on a call to action: “We would like to ask you for old laptops and computers. If you have any that you don’t need – please donate them to us. If our students know how to use a computer, they become more confident, they want to continue to study.” While the New Yorkers have proven to be friendly towards immigrants, the City of New York has offered Maria and the Center no financial support. CREA thrives on donations from the community.